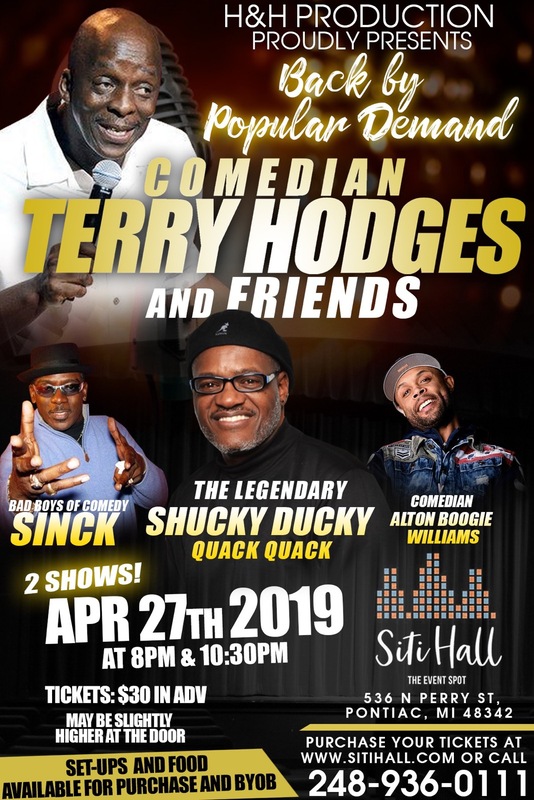 Terry Hodges and Friends of Comedy are back again April 27th doors open at 8:00 pm Featuring Bad Boy of Comedy Sinck, The Legendary Shucky Ducky Quack Quack and Comedy Central “Hart” of The City Alton “Boogie” Williams!! Get ready to Laugh Out Loud! !